Dr. Russell J. Caputo grew up in Western Pennsylvania. He attended the University of Pittsburgh School of Pharmacy and then attended Temple University Dental School, graduating in 1989. After practicing 18 years in Private Practice in PA, he relocated to Aurora in the fall of 2007. In 2005, he started a Dental Management Company which owns and operates multiple dental practices in Pennsylvania and Ohio, striving to improve their overall business and the qualty of dental care they provide. Constantly working to improve his patients’ care, Dr. Caputo takes Continuing Education courses on a regular basis. For example, in 2012 Dr. Caputo graduated from the Georgia Health Science Center Maxicourse of Dental Implant Education, which required 300 hours. 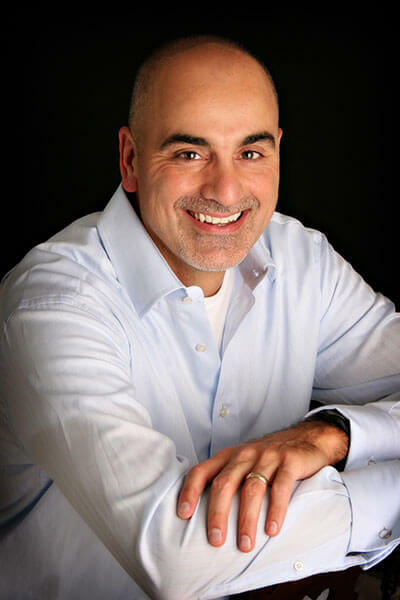 Dr. Russell J. Caputo is committed to providing excellence in dentistry, and stands out as a leading dentist in Aurora. The doctor uses the latest in dentistry techniques to provide you with a beautiful and healthy smile. Additionally, Dr. Caputo believes strongly in education to tackle oral health problems before they occur, and makes sure to keep patients fully informed about their dental health. Dr. Caputo has 2 boys, Luke and Jacob, and a stepson Matthew. He enjoys coaching and attending all their activities in his off hours.